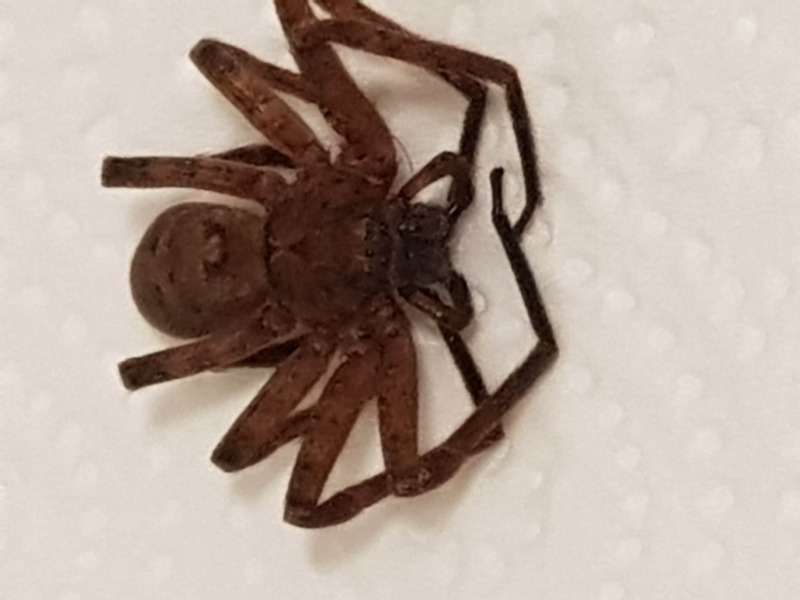 Had to spray kill it, as it was sitting on the bedroom wall. I guess it sneaked in through a slightly open window. It looks a lot like one of the Huntsman Spiders in the family Sparassidae.